Meter companion flanges and meter companion flange gaskets. USE For connection to water meters or pipe. 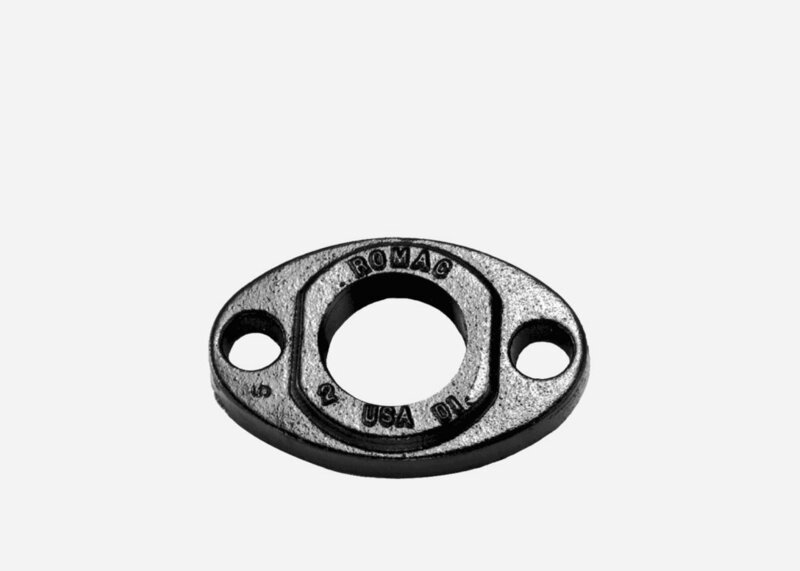 FLANGE Meets or exceeds AWWA C700-95 and C701, cast from ductile (nodular) iron, meeting or exceeding ASTM A 536-80, Grade 65-45-12. GASKET Neoprene 60 durometer compounded for water and sewer 1/8” thick. COATING Shop coat (black) applied to the casting for corrosion protection during transit.